The actual beginning of pregnancy is the day of the month when you had period the last time. Your pregnancy term actually starts right after it. This phase, of about weeks long, is the menstrual age and after that span of two weeks comes the conception. The baby growth during pregnancy video will show you everything in detail. Here is a monthly breakdown of what happens during pregnancy. Development of placenta and amniotic sac takes place. The fetus develops a primitive face with not so prominent eyes as dark circles. The heart tube formed will have a rate of 65/min towards the end of fourth week. The facial features become more prominent. The neural tube forms and the cartilages are replaced by bones. Your baby will be approximately 1 inch long by the end of the month. Heart beat can be detected normally. Hands and feet are fully developed. Nails begin to develop on them. Reproductive organs also start developing. By the end of the month, all other organs are formed. The liver also starts producing bile. 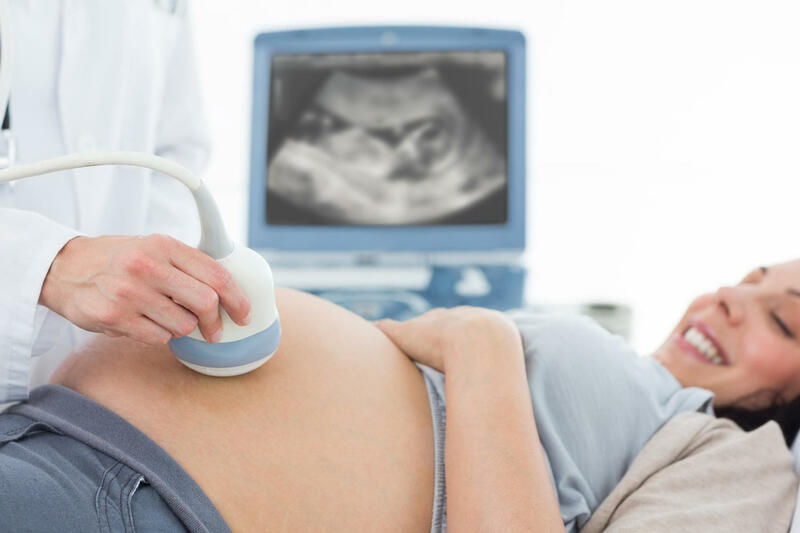 Using a Doppler, you can hear the heartbeat of your baby. Eyelids, eyelashes and hair have formed. Genitalia and reproductive system become fully developed. By the end of the month, your baby will be of approximately 6 inches long. You might feel the first movement of your baby. Temples become covered with lanugo which is a very fine hair. The skin becomes covered with a whitish fluid. The coating, however, sheds just before delivery. The skin will be reddish and veins are visible. The baby will start responding to sound. If baby hiccups, you will experience jerking motions. By the end of the month, the baby will become 12 inches long. The baby will develop even more continuing to reserve body fat. The diminution of the amniotic fluid starts. The baby is fully capable of responding to stimuli. During this month, the baby usually kicks more. The development of the brain is very rapid during this phase of time. The lungs might be a bit immature but other systems get well developed. The lungs are almost fully developed. The reflexes of the baby are fully developed. The baby can close its fist, blink, turn its head and respond to light, sound and touch. You might also notice less movement because the space becomes tighter. The baby usually is between 18 to 20 inches in length. With baby growth during pregnancy week by week video you can monitor your baby’s development even more closely. This was only a monthly breakdown which will give you an idea about what to expect. But with a video it will be more prominent to you. Once you know the developments, you will be able to compare it with the developments of your own baby and be ensured that everything is normal. Moreover, these videos are made in a manner that even a layman can understand them. Previous Why is it Important to Get The RO Cleaned Services Frequently?